Part of PROGRAM 2 of New Wave Chinese Filmmakers July 25 at 4 p.m.
Writer-Director-Actress Qingge Gao's Chinese-language romance drama "Love, Song" will have its world premiere at LA Shorts International Film Festival in the New Wave Chinese Filmmakers Section, Program 2 at 4 p.m. on July 25, at Regal LA LIVE 1000 W. Olympic Blvd. Los Angeles, CA 90015. The film was shot in Qingge's hometown in China. 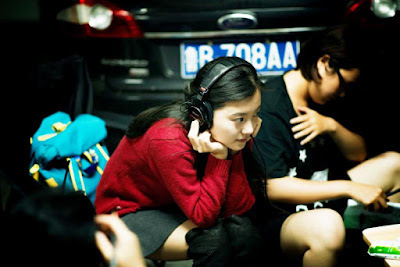 In "Love, Song," under China's One Child Policy, best friends with the same last name, Jiujiu Song (Qingge) and Dabao Song, a girl and boy from different families, grew up almost like siblings, and they developed a special bond throughout their childhood and teen years. Now, as an adult，Jiujiu is confused by her changing feelings for Dabao, which are shifting from sibling love to romantic love, but will Dabao feel the same abouther?